This is a site for the Pacific War, but we must not overlook the 100th Centennial of WWI. On Nov. 11, 1918, after more than four years of horrific fighting and the loss of millions of lives, the guns on the Western Front fell silent. Although fighting continued elsewhere, the armistice between Germany and the Allies was the first step to ending World War I. The global reaction was one of mixed emotions: relief, celebration, disbelief and a profound sense of loss. The armistice centennial offers the chance to look back and assess its continued significance today. 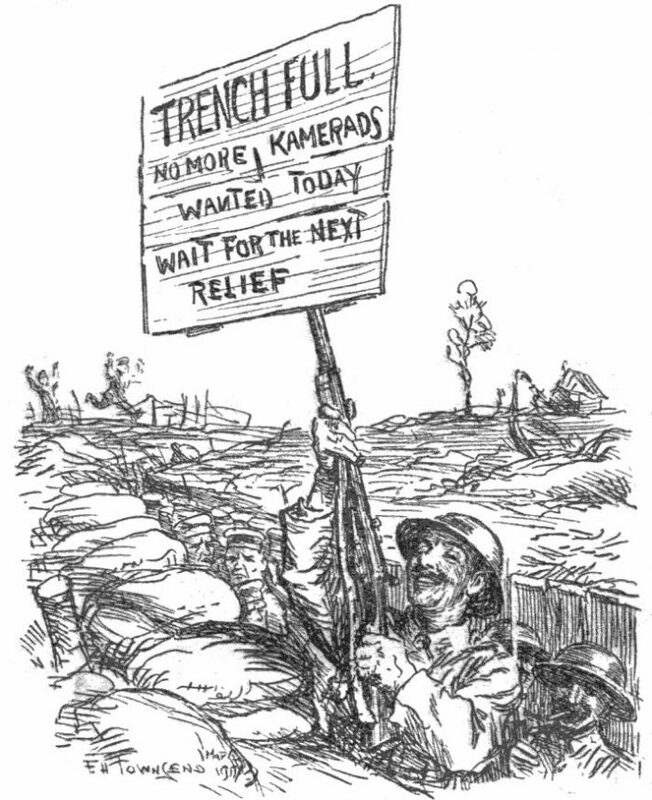 When World War I began in August 1914, few expected the conflict to last beyond Christmas. Over the course of the next few months, however, it was clear this would not come to pass. The conflict, already expanded beyond Europe, included great movements of imperial colonies in Africa and Asia. As it progressed, further independent nations like Bulgaria, Romania, Italy, the Ottoman Empire, China and Japan joined the fighting. Not until 1918 would the war’s end be in sight. In October of that year, an armistice between the Ottoman Empire and the Allies ended fighting in the Middle East. Only days later, the disintegrating Austro-Hungarian Empire signed an armistice with Italy. Posted on November 13, 2018, in Uncategorized and tagged 1918, Doughboys, Europe, History, Military, Military History, trench war, Tributes, veterans, war, WWI. Bookmark the permalink. 72 Comments. I saw Peter Jackson’s film (They Shall Not Grow Old) yesterday. It was very well done. Voiceovers from dozens of people added a great insight. Thank you for telling us, Gwen. A personal touch always gives us a better perspective. My God. I have to see that documentary. Staggering. Gleaned from over 600 hours of footage did he say? It just brings these guys to life. Really connects us with them unlike anything before. Thanks for bringing this to our attention. Certainly my pleasure!! Have a wonderful weekend! Thank you very much, maria. I appreciate you visiting here. Arguably WW1 was the greatest disaster that ever befell Western European civilisation. Leading directly to WW2 was enough, but to this you can add millions and millions and millions of individual tragedies. And so many innocent young men were dragged into it, all of them needed to make up the obscene numbers of casualties as generals tried the same things over and over again expecting a different outcome each time. I know they didn’t have the weapons we have now, but common sense should have ruled out that sort of strategy – you’d think, wouldn’t you? With all my thanks, Dave. This reminded me of the last WWI veteran to die in Australia at age 110. He kept his English sense of humour to the end. Linda at Shoreacres and I were just talking about how final it all seems when the last one leaves us. All those terrible wars with so many lives lost must be remembered. Wouldn’t it be wonderful if hearing all these stories would make people find a better way to solve their problems? Too many wars! I keep hoping one day humans can change their violent nature, but I know I’m grabbing at straws. What an amazing film. It does exactly what he intended. I can’t wait to see the entire film!! My Grandfather was a surgeon in the medical corps and served in France. He suffered from mustard gas inhalation in 1918 which finally took his life in 1932 at age 50. He is buried in Arlington National Cemetary. This was a horrific war. Thanks, GP. Yes, it most certainly was a horrific war. And as time went on human nature, such as it is, improved on those weapons! So sorry about your grandfather. A medical man saving lives, killed by something he couldn’t even see – heartbreaking. I think that’s because it was mainly a European affair. We sent many men and equipment for it, but nothing like we had to repeat in WWII. My grandfather and grandmother met in England during WWI. They exchanged letters after the war and he proposed by mail. She wrote yes and her father bought her a round trip ticket to Minnesota, warning her that marrying an Irishman would not be easy, given the Irish War of Independence (a rather nasty affair). His family never really warmed up to her Englishness, but she cashed in the return ticket anyway. Sometimes, people of our generation and our kids and grandkids view history as something that happens on TV but our parents and their parents lived history. So true. I wish the schools taught it all differently, not so much emphasis on names and dates, but more of the personal perspective. A friend of mine happened to be in England recently, and she visited the grave of Harry Patch, the last of the WWI veterans to die — almost a decade ago, on July 25, 2009. It’s another reminder that it’s up to us to tell the stories now: those who fought the war no longer can do so. You sure are making sense. When it comes to the feeling, there’s something about the story about the last WWI vet that reminded me of closing the door on my mother’s apartment for the last time after she’d died. It’s just a strange feeling. And, of course, the end of World War I and the geopolitical decisions made in its aftermath laid the groundwork for the next World War. So much for the war to end all wars…. They had weapons only few could conceive – and then we improved on them!! That’s human nature for you! Before I die I want to go to the WW1 memorial in France and then to Washington DC for the Vietnam and WW2 memorials, also to Arlington cementary wich unfortunately I have one of my classmates when I studied in the U.S, The tomb of the unknow, and pay my repects as you do with all your posts. You have an outstanding bucket list, Charly. I wish you all the best in achieving it. Unfortunately, true peace had not been achieved at the end of WW1. Many historians perceive in the harsh terms of peace the main causes for WW2. Let the Remembrance Day ceremonies honour the fallen soldiers, but let them also serve as a reminder to be vigilant on behalf of peace among all nations. A splendid way to put it all into perspective, Peter. I completely agree! Wow. A century has gone by. I want to see the Peter Jackson tribute! Beetley Pete says it’s great, so I’m pretty anxious myself! Lest we forget. As I read “The Guns of August”, I learned more and more of the Great War and this is only during the first month of WWI, how the Germans not only killed soldiers, but the civilians too and burned villages as they marched toward Paris. I could not believe the death tolls on those battles. Bless the souls of those fighting men, their families and those villagers who tried to defend their village! BTW – I spotted this and thought you might be interested…. Thanks. I’ll check it out. I finished “The Guns of August” today, two days late. I meant to finish by Veterans’ Day but it is a long book and tiny print. Highly recommend it. the preview of Jackson’s work is wonderful, can’t wait to see the finished product. We must never forget. Pete gave us a review as he already saw it and he totally recommends it!! As with you, GP, my site focuses on WWII but we should always remember the immense loss and sacrifice of WWI, as well. Exactly. I wasn’t quite sure where to put between the other important dates. But I finally got here. Thank you for reviewing it, Karen. I have literally just finished watching that Peter Jackson film, on the BBC I-Player. Absolutely fantastic, and so moving. He also included some great ‘trench humour’, and using the colourisation technique to bring those men ‘to life’ was just memorable indeed. After four years of heartbreaking commemorations of that war, it was a fitting end. Thank you for reviewing the film for us!!! THAT is the perfect contribution. I cannot recommend it highly enough, GP. If you can’t watch it over there, it will definitely be worth buying on DVD. Thank you for telling us. I will definitely be looking for it. I’m not as informed on that war as I should be. GP, this is another great WW1 film that looks at an American unit in action. Based on a true story. You are quite right, Pete, I had completely forgotten that one. Thank you! I’ll be watching it this week Pete, Phil recorded it, and I’m really looking forward to it after you saying this. Watched it last night, totally in awe, Peter Jackson has done a cracking job and as you say, STAGGERINGLY good! Chaps! Just got through the Peter Jackson movie. Completely blown away! In many ways, that war never ended. In 2008 I wanted at first to write a blog about the Great War, but then my wife’s uncle talked about HMCS Athabaskan. 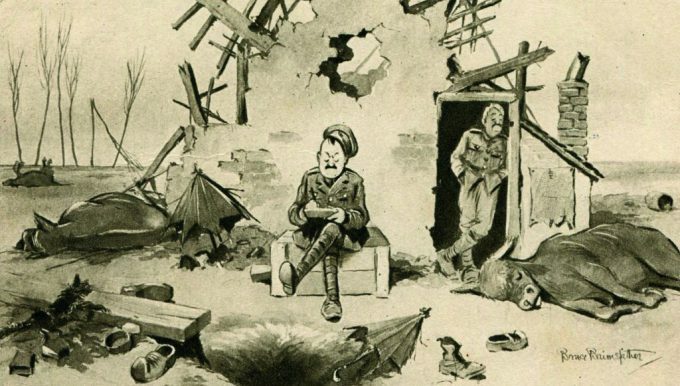 I never got around to write about the Great War which I know little about. Thank you for including them, Pierre!! The families serve as well! A sombre time for reflection, GP. I thought the rain at the ceremony in Paris was very fitting; tears for the fallen and the wounded. 🙂 Lest we forget. Maybe I can get through to some about just how much we owe them? You never can tell, Ann. Pierre Lagace puts photos online once in awhile and when he least expects it, he gets word from one of their relatives. So anything is possible! !